For the fifth time since 1988, Bruce Willis has strapped on the badge of John McClain, a cop who happens to have really bad luck being in the wrong place at the wrong time. This time, he travels to Russia in order to find his son, Jack (played by Jai Courtney). Apparently, Jack has been estranged from the rest of the family and finally reappears when the State Department informs John that he is awaiting trial in Moscow. So, naturally, John travels to Russia where he ends up being in the wrong place at the wrong time; again. John and Jack find themselves caught in the city with no one available to help them all while being chased by Russian mobsters. From the car chase very early on, to an encounter with a Hind helicopter, the action never stops even through the final plot twist and ending. From the perspective of being a straight up action movie, where the specifics of the plot aren't as important, the movie is wonderful and much better than the previous one. 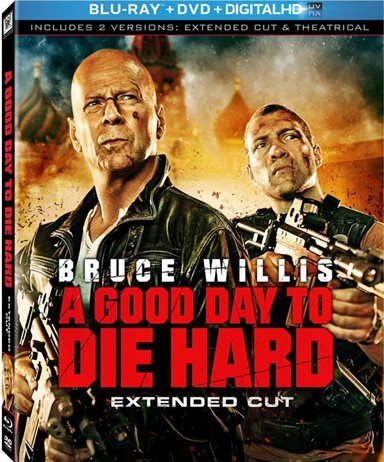 Unfortunately, that isn't the point of the original Die Hard series. With the first three movies, the audience had a vested interest in what happens in relationship with John. In the first two movies, John needs to save the day in order to save his wife. In the third movie, while his family is no longer threatened, it begins with John's life being threatened and that makes it personal (which it is; the third movie is a revenge film from the first). The fourth movie leaves that formula behind by thrusting John McClain into a situation because he was ordered to do it. During the movie, he does what he does best – kill bad guys. This resulted in the head bad guy bringing his family (namely his daughter) into the equation but it only encouraged more involvement by John, not lessening it. This issue is the biggest problem with this movie. When Jack first sees his dad, his verbal and physical reaction to the reunion makes the viewer hate him and makes you wonder why his dad would help him. The fact that his dad still follows him after that scene is just incredible; but of course if he didn't follow him the movie would be over in less than fifteen minutes. The rest of the movie's action is the result of an attempt of this forced father-son reconciliation plot. If you ignore this part of the plot, you have a straight-up action movie, and this is where A Good Day to Die Hard shines. Shortly after the movie begins, you'll see an extensive and well-shot car chase sequence (okay truck chase) which is much better than the highway scenes from Die Hard 4. At that point, the movie never slows down and is almost constant action until the end. I would have given the movie a higher grade if it had not been for the forced plot. For a popcorn movie, it is wonderful and would be something to watch to escape into.